Anyone who knows me knows I have a special place in my heart for the city of Pokhara. When I first came here 30 years ago, it was an idyllic rural town on the shores of Fewa Lake – a few storefronts, lots of paddy fields, and a bustling campsite by the lake, full of hippies and travelers. It was honestly amazing. Coming to Pokhara today is a completely different experience for me. Streets are filled with dozens of hotels, restaurants, retail stores, adventure travel operators, taxis, dance clubs, and coffee shops. Things are bustling in that popular resort-town kind of way. Fewa Lake still looks beautiful with picturesque rowboats for hire; but the water is polluted enough now that a swim might get you conjunctivitis and a skin rash. The lake’s solitude is punctuated with the loud buzz of rented microlites flying back and forth from the nearby airport. The airport itself (still currently a tiny domestic landing strip with a one-room “terminal”) is due to become an international airport within 5 years. When that happens…all bets are off as to what Pokhara’s future will be. 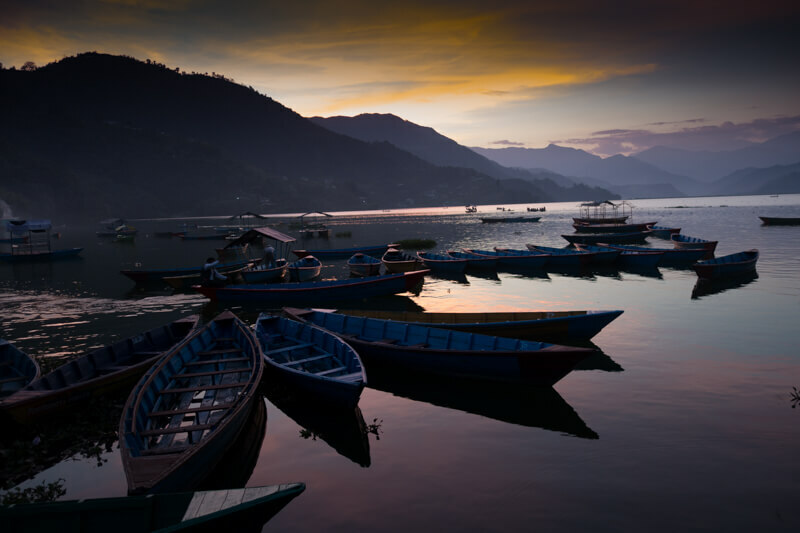 All that said – for a first time visitor, Pokhara is still a wonderful place to spend time. 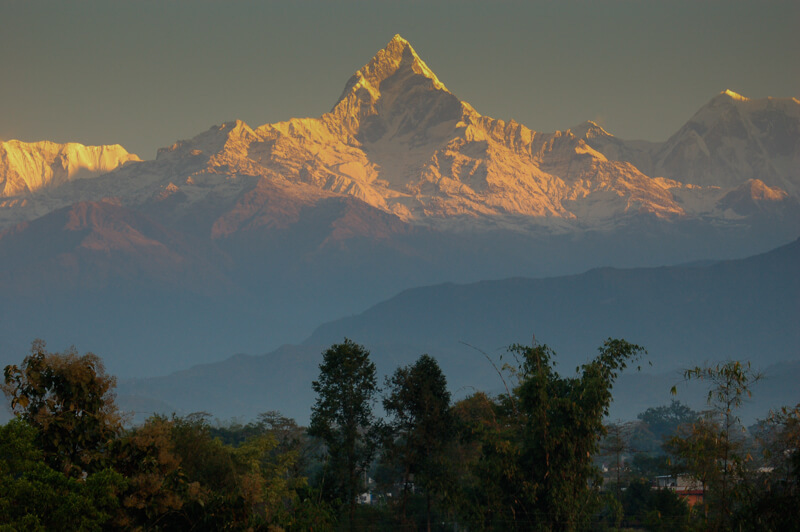 One thing that will never change is the magnificent Annapurna range surrounding Pokhara with stunning 8,000 meter peaks. Setting off on amazing treks, river trips, or mountaineering adventures is easy as pie from here. Over the decades, I’ve developed a number of Nepali friendships in Pokhara that feel like family. We’ve grown up together, changing and evolving over the years – along with the rest of Nepal. These close friends have really come into their own now and represent the vibrant “next generation’ of Nepali entrepreneurs who – in many ways – will be instrumental in shaping the future of the country…hopefully for the better. We’ve been here filming for 2 weeks. Although our expedition takes me on some classic Himalayan adventures in the mountains and on the rivers, the heart and soul of our film is about the universal journeys that lead to change – changes I’ve undergone personally and changes I’ve witnessed in people and places in this part of the world over the last 30+ years. In Pokhara, we’re capturing the stories of local heroes working hard to make a difference here. They represent a trifecta of interesting stories – each self-made successes who intimately understand the delicate balance of economic prosperity and sustainable development in a tourist-driven ecosystem. Dorje Lama – prominent businessman and owner of the most popular restaurant in Lakeside Pokhara, the “Moondance” (his apple crumble is my favorite dessert in the world); the Chhetri sisters – founders of “Three Sisters Adventure Trekking” the only all-female professional trekking company in Nepal; and Sanu Babu – a successful international paraglider, entrepreneur, and former National Geographic Adventurer of the Year – the only man to have paraglided off the summit of Everest and kayaked from Everest down to the Bay of Bengal on a “summit to sea” expedition with his great friend Lakpa Sherpa. 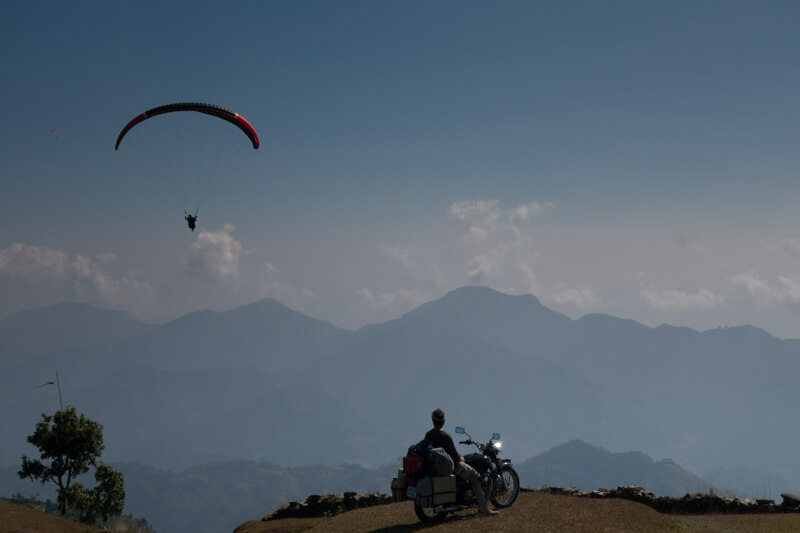 He’s now running a world-class, paragliding training center and resort on an idyllic mountaintop that he and his family have literally built on their own, stone by stone. Their individual and collective perspectives about life, work, inspiration, and hope are pretty amazing. You can’t help but be affected by their sheer determination to forge progressive paths in a fairly corrupt and disorganized nation. 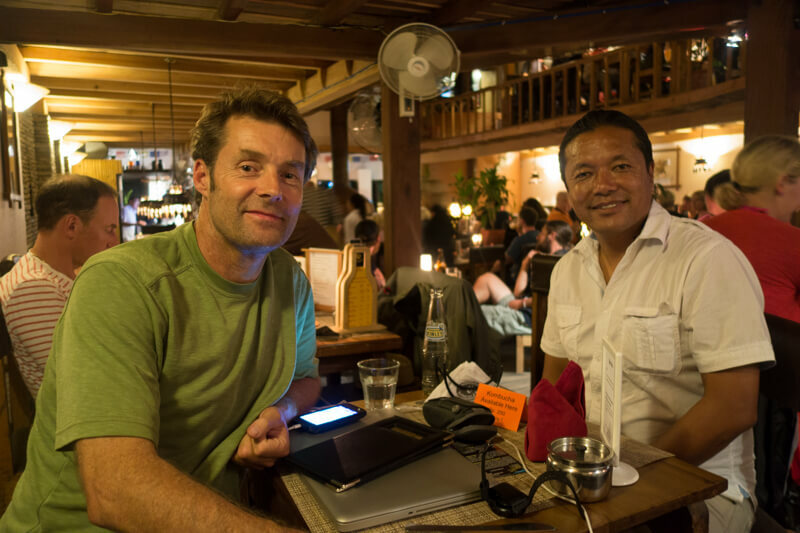 I’ve known Dorje for 30 years – since he was a 13 year old dishboy in Kathmandu. I gave Babu his first award for winning the Junior National Championships in kayaking at the age of 16…he’s 31 now, married and a father of two. Our paths have intersected and intertwined for decades. I can’t tell you how meaningful it is to be sharing our expedition with them today as I turn 50. Tomorrow, I head off to Kathamandu. 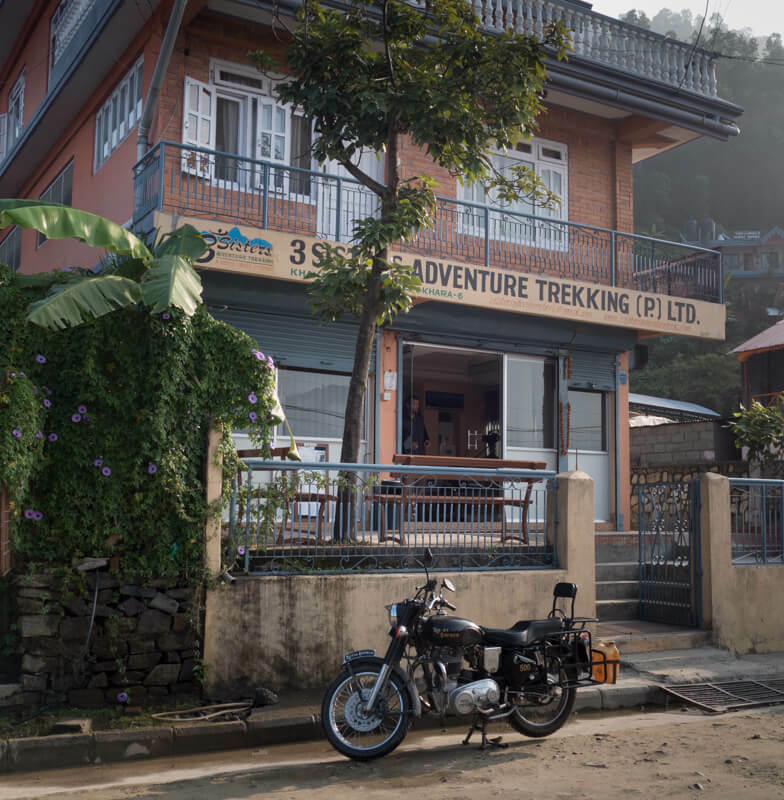 I’ll be riding through 202 kilometers of crazy traffic on the Prithvi highway that connects Pokhara with Kathmandu. I’m hedging my bets with a departure time of 5am to get a jump on the conga line of tourist buses that congest the highway. I think I’ve driven this highway about 300 times over the years and it’s never a safe journey. It’ll feel good to get back on the Enfield though. Kathmandu is the epicenter of my Himalayan life and it’s always comforting to pull into Thamel, no matter how hectic or polluted the old ‘hood’s become.